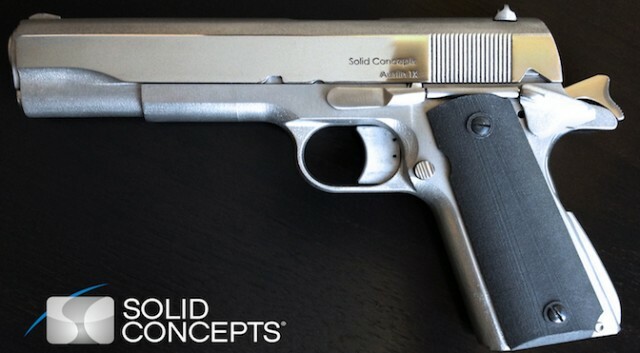 Ever since 3-D printing became a commercially available service, Defense Distributed has sought to use the technology to create firearms. And in their latest act of circumventing the law, the online, open-source, libertarian group has created another means of building homemade firearms. But unlike the Liberator – their previous single shot incarnation – this one doesn’t involve making guns from 3-D printed plastic. 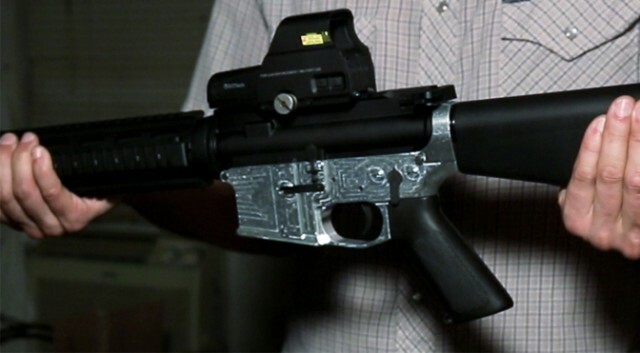 The group’s latest invention is known as the Ghost Gunner – a small, computer numerical control (CNC) milling machine that they used to create an aluminum lower receiver for an AR-15 rifle. This device, which costs about $1200, allows people with no gunsmith training to assemble a working assault rifle at home with no licensing or serial number. And for the moment, it’s completely legal. 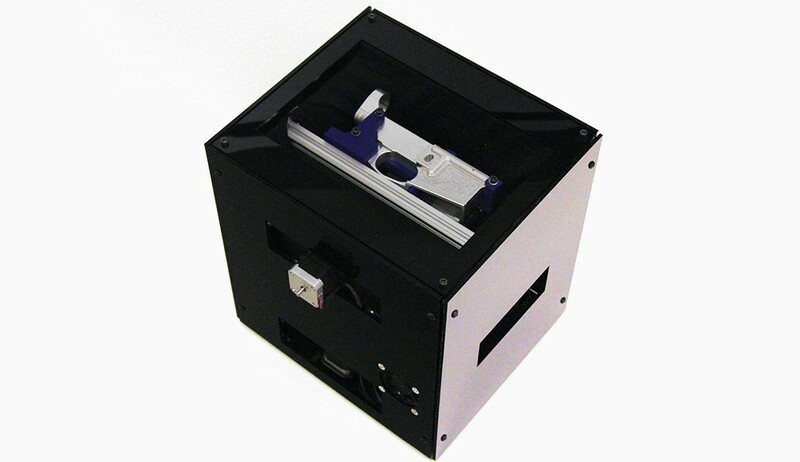 The Ghost Gunner itself is a small box that measures about one foot on each side and contains an Arduino controller and a custom-designed spindle that holds a steel carbide drill bit. It works like any other CNC machine – the drill spins up and moves in three dimensions to carve items out of blocks of metal. However, this machine is specifically intended to make an AR-15 lower receiver. That’s the part of a gun that connects the stock, barrel, and magazine – and the part that’s regulated by the ATF and assigned a serial number. Selling it without a license is illegal, but making it yourself is perfectly fine. An untraceable gun built without a serial number is often called a “ghost gun” by gun control advocates. Hence why Defense Distributed chose to appropriate the term, to deliberately generate controversy. This is just the latest example of Defense Distributed pushing the bounds of home manufacturing technology to make a point. 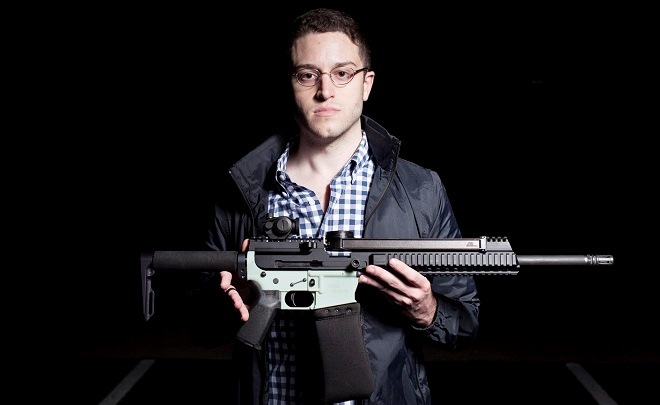 Cody Wilson, the group’s founder, is an openly radical, libertarian who has repeatedly stated that mass shootings and gun-related violence are simply the price people pay for freedom. In addition, his group has openly stated that they would not allow tragedies like the Sandy Hook Elementary School shooting deter them. Manufacturing homemade weapons has always been his way of showing that technology can evade regulations, thus making the state obsolete. 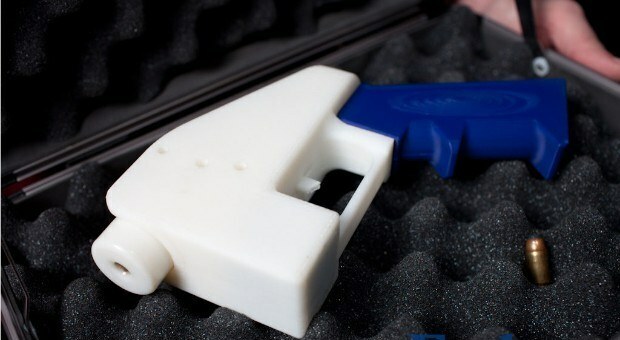 The group’s previous weapons – the 3D-printed Liberator gun – was more of a political statement. The gun itself was neither effective or practical; but then again, it wasn’t meant to be. This proof-of-concept weapon was simply meant to show that a new era of manufacturing is upon us. The Liberator itself is prone to failure and usually only manages a few poorly aimed shots before breaking down. In designing a cheap CNC machine specifically to make gun parts, Defense Distributed is delivering a viable weapon at a fraction of the cost of other CNC machines (which cost many thousands of dollars). If you can make a lower receiver, all the other parts can be ordered online cheaply and legally. The Ghost Gunner is capable of making anything that fits in the build envelope, which accounts for several gun parts that go into assembling a working assault weapon or handgun. The only requirement is the parts be created with Defense Distributed’s Physibles Development SDK (pDev) and distributed as a .dd file. In that respect, it’s not much different than any number of 3D printers. Once again, Defense Distributed has proven that, for better or worse, we live in an entirely new era of manufacturing. In the past, a person needed considerable training if they wanted to make their own firearm. Nowadays, one needs only the right kind of hardware, software, and access to the necessary files. And as always seems to be the case in the digital age, the law is miles behind the curve. One can expect the law will be upon Defense Distributed once again and place a ban on their Ghost Gunner. However, it goes without saying that Wilson and his colleagues will simply try again some other way and the fight between regulators and home manufactures will continue. But regardless of the issue of firearms, this is an indication of the age we now live in, where distributed systems are making for some rather interesting and fearful possibilities. God help us all. Now they’re giving people instructions on how to make actual killing machines. I get people want to own guns, and I have no problem with people going about it legally. But I think most crimes (not all but most) are committed with guns obtained illegally. This company may have the right to produce the means to make homemade guns, but it’s opening doors for some scary people that may not otherwise be able to obtain a gun. There’s no way for any one to know “who” is getting the technology to make a gun. That scars me. Well, in the majority of mass shootings in the past few decades, the guns were obtained legally. That’s scary enough as it is. But when it comes to gun violence in general, the weapons are most typically stolen and then resold to criminals. So any way you slice it, making guns even more easily attainable is very risky. Hmm, how many murders have been committed by people who have made their own firearms? Perhaps we should simply ban gang members as they are committing the majority of murders. Progressives are amazingly dumb as they never use logic or reason when they try to social engineer an solution. The cities with the most strict gun laws have the highest murder rates. Why? Urban gangs and drugs, not the person who makes owns a firearm legally. America already has the highest per capita rate of incarcerated people of any developed nation. Cramming more people into jails, many of which are gang members, has solved nothing. Also, the issue here is how many more murders and mass shootings are likely if this kind of technology becomes widely available. The only reason homemade guns haven’t killed many people yet is because it isn’t available yet. Last, you’re making a lot of assumptions, like about gangs being the ones who commit most murders and that cities with strict guns laws having the most. But most of all, you assume people who are and that anyone making guns at home are doing so legally. It is illegal to manufacture your own firearms, and for good reason. There’s no oversight or regulation when it comes to homemade, and anyone (including psychopaths) could be doing it.